One team’s musings on the world of careers education, information, advice and guidance intertwined with the story of a new startup. We're working to help young people make better informed choices about what to study after GCSEs. Our handy one-page summary can help you explain the range of Post-16 options to your Year 11 students. it gives a pointer to the level your pupils should be considering based on the GCSE results they might secure next summer. Are you thinking how best to support your new Year 10 or 11s to decide what to study after GCSEs? Skills Route PLAN is a developmental and reflective tool to help your pupils understand all the options for after GCSEs. It covers A levels, vocational qualifications and apprenticeships. It is free to use by schools. Our 6 top-tips explain how to get the most from the free tool. For those schools that have signed up to the BRONZE, SILVER or GOLD Teacher Toolkit, we can now provide you with your summary analytics. The life aspirations of your pupils. Skills Route PLAN helps young people learn about and plan their course options after GCSE. It covers all options including A-levels, vocational courses and apprenticeships. We have made some improvements to the look of this module. In particular, the subject options are now displayed in a more visually engaging way. Each subject is displayed on a card with summary details and further information is available by clicking on the button. Skills Route EXPLORE is now available. This module allows students to see how their choices in school impacts their future. Skills Route EXPLORE is a fun and engaging learning tool to help young people see what careers or university subjects suit their interests now. A student simply enters the subjects that most interest now them to unlock suggestions for either careers or university courses. These are based on data on what people who studied these subjects went on to do next. Skills Route FIND is a new tool to help young people find local schools and colleges that offer the courses that they want to study after GCSEs. It uses information that providers have shared with the DfE about the courses they offer through the Post-16 Course Directory. This is combined with contact information, Ofsted ratings and directions from home to give a young person all the information they need to decide whether to explore the school or college further. As the first half term of the year comes to a close and young people across the country are planning their options for sixth forms and colleges, we are pleased to make available a new Skills Route tool. Skills Route PLAN helps students explore all the courses that are available for them to study after GCSEs. Using this online tool they can learn about and select courses that reflect their interests, ambitions and academic ability. It’s a new year and a new term - a time for new timetables, new textbooks and soon, new technology. The original Skills Route tool has been through an evolution over the last few months and a new version will be available in October 2016 - hopefully just in time to help Year 11 students find their ideal course combinations and places to study. We will announce the launch of these tools in mid-October via our newsletter and social media accounts. If you don’t already subscribe, follow us on twitter here or sign up to receive our newsletter here. Skills Route exists to help young people make informed decisions about what to study after GCSEs so that they can set great foundations for the future. We do this by providing tailored suggestions to each young person for what to study, and where. We base these suggestions on the information that they share with us - for now it’s primarily their academic ability, their interests and their life goals. Anecdotally, we often hear that schools struggle to share and explain all the options to young people. There are a myriad of reasons for this - the incentives that exist to encourage students to study A levels, the complex nature of the apprenticeship application process, the constantly growing list of possible qualifications not to mention the crazy levelling system (that sees GCSEs listed across two levels depending on the grade scored) to name but a few. "Don't ask what the world needs. Ask what makes you come alive, and go do that. Because what the world needs is people who have come alive." This quote (attributed to Howard Thurman) appeared in my email inbox courtesy of the marvellous Escape the City community newsletter a week ago. It gave me pause for thought as I agreed deeply with the sentiment. But then I stopped and pondered what this way of thinking means for careers education, information, advice and guidance (CEIAG) in our classrooms, schools and homes in the 21st century. The team at Skills Route have had a hunch for a while that there’s a gap in the market for a website (or portal) that brings together all the options for post 16 study into one place. We have encountered young people, professional bodies, teachers, careers advisers and organisations who struggle to explain the current landscape of vocational and academic opportunities - and to truly do justice to all the options that are available for a given student in a given time and place. Since the advent of Skills Route and for some time before, we have enjoyed exploring the changing landscape of careers education, information, advice and guidance (CEIAG). It seems unnecessary to recount the potted history of changes, so we have chosen to focus this post on the wealth of recommendations for best practice. These have largely been issued since the significant shift that occurred in September 2012 after nearly 40 years - careers guidance moved from having been a publicly funded service to becoming a statutory duty for schools to provide 'independent and impartial careers guidance' for their pupils. 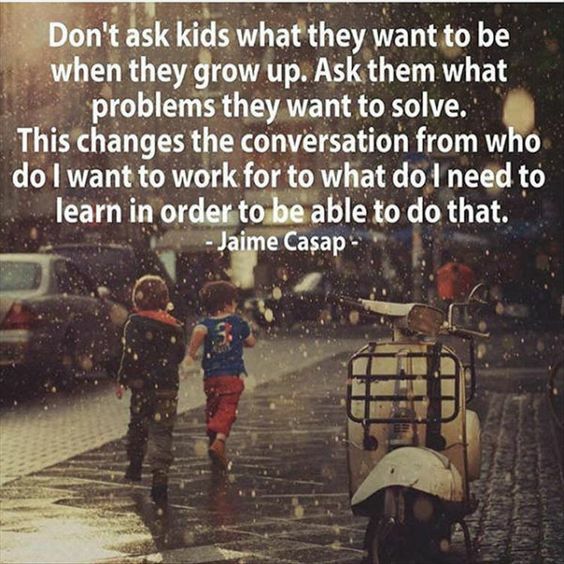 "Don't ask kids what they want to be..."
This quote was originally shared by the Sustainable Human Community on Facebook. For me it captures the importance and challenge of careers education and guidance just perfectly. Beyond this, it highlights the vital role that intuition, information, experience and reflection all play in finding your path - whether you're searching as a child or as an adult. We recently spent some time talking to sixth form students about how they decided what to study. We very much enjoyed our conversations and it has given us a fresh perspective and some new ideas about what tools and technology could do to help young people to make better informed decisions in the future. Over the last 14 days the Skills Route team has undertaken a series of short forty minute research interviews with teachers and ex-teachers across London. The purpose of this exercise was to gain insight into existing careers education, information, advice and guidance (CEIAG) practice in schools. We were particularly interested to find out how teachers currently help young people make the right decisions about what to study in sixth form or college, and how this fits into their day-jobs and school routine. Alongside these informal research interviews, we invited parents of teenagers to share their views on the support that they receive to make good decisions about sixth form study. On more than one occasion this year I have found myself with my head in my hands as I try to make sense of the qualifications that are available to young people in this country and which ones are appropriate (let alone available) for different students. As a team of data specialists, ex-teachers and recent graduates, you would think that we would have a pretty good handle on the qualification landscape for post 16 options, particularly as our startup relies on it. Thankfully, we’re pretty blessed in that department, but as a returning educationalist after a few years out of the sector, I’ve been reacquainting myself with the world of qualifications and it really hasn’t been easy. We are very proud to reveal that Skills Route has been announced as the winner of the Education Open Data Challenge after 10 weeks in incubation. The team at MIME would like to thank everyone involved in setting up the competition and providing specialist support to help develop the initial concepts behind Skills Route. In this post, we are excited to announce our plans for the coming months. The team now plan to rebuild Skills Route for the whole country, with more user consultation, working closely with our group of pilot schools. 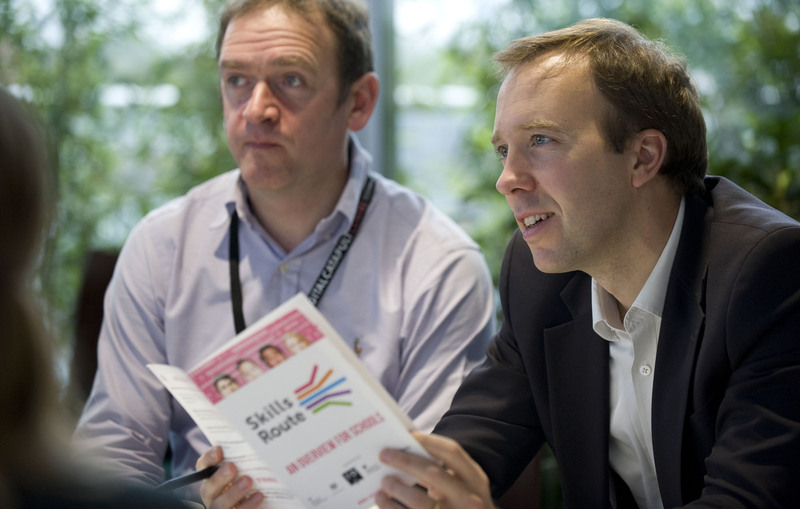 We want to ensure that Skills Route is as useful as possible to young people, parents and schools. It's important that everyone, no matter what their previous attainment or particular strengths, has a fulfilling pathway ahead of them, whether this is academic, applied or vocational. ** This article was originally posted on the Nesta website, if you'd like to see more related content, check it out here. Nesta and The Open Data Institute have been running the Education Open Data Challenge, part of the Open Data Challenge Series. The challenge process is designed to find and support teams to create open data products and services that could help parents engage with their children’s education and help them find schools or institutions that suited their child’s learning priorities. On 15 and 16 March 2014 at the Education Creation Weekend, we were excited to announce three finalists who won £5000 and a package of incubation support. 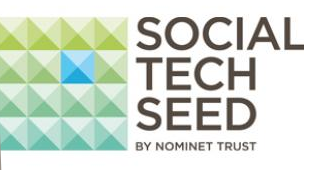 Now those three teams will go head to head in the run up to the final in June, where they will pitch to win £50000 to fully launch their product. Following a weekend of consultation, refinement and website development we are delighted by the latest news from the Education Open Data Challenge. After a successful pitch by Steve, Skills Route was chosen as one of the three finalists and move forward through into the incubation phase with project support from a host of subject matter experts. The whole weekend proved to be really exciting and we particularly enjoyed watching everyone’s ideas come together in the final pitches. As part of the weekend we had the opportunity to share our concept and initial designs with parents from Haringey. They had generously given up their time to provide direct project feedback and we hope to work with them further as the competition develops. We were pleased to hear the positive reception that they gave to Skills Route and excited by the potential impact that they felt it could have. We have recently been doing some extra-curricular work on a new product idea called Skills Route. We have been looking for opportunities to develop and fund this idea further. We are pleased to announce that, following a successful competition entry, we have been invited to attend the creation weekend for Nesta and The Open Data Institute's Education Open Data Challenge. There are some great entries and so the competition is going to be tough. Prior to this announcement, we have already done some work to develop our concept and ensure it responds to the brief set by Nesta and the Open Data Institute.